Leveraging Technology to Meet the New Bar Set for Multi-Family Developers, Owners and Operators. The real estate industry, and every industry at that, is facing a forced evolution due to new and more innovative technological tools that benefit tenants and owners alike. This new age calls for a swift revamp in the ways developers, owners, operators, and tenants function and communicate. Since the global financial crisis of 2008, many industries have suffered a significant downturn and experienced declining investment. But real-estate, which was at the very heart of the global financial meltdown, seems to have bucked the trend. 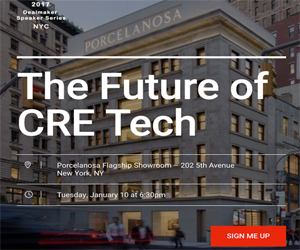 What’s Technology Doing to Commercial Real Estate? For years, the narrative about the commercial real estate industry’s relationship with technology was one of missed opportunity. While many business sectors quickly latched onto the technological revolution of the 1990s, commercial real estate professionals by and large maintained the status quo for their day-to-day operations, which on some level kept the industry from realizing the benefits of widespread technology adoption. One major factor of running a successful real estate business is instant and accurate delivery of information. In our hyper-contacted global market, consumers no longer want to wait 24 hours or even a few hours for answers. They know they can either search for them online or head over to your competition. Today's real estate market is customer-driven and marked by low customer loyalty. As much as we like to think that sales is about relationships, it is really a numbers game. Brokers that acknowledge this can add a degree of predictability to their business by analyzing and tracking key performance indicators (KPIs). Unfortunately, many brokers ignore the importance of these metrics, measure the wrong or incomplete information, or lack a system for tracking results. That’s a shame, since brokers can use KPIs to prospect better, grow and improve their business, and forecast with more confidence. Here’s how. Today, most luxury residencies offer the same amenities -- skyline views, a doorman, a pool, gym and high ceilings. But where most properties miss the mark is seamlessly connecting residents to their communities. When residents pay a premium price, they expect a premium experience. With most high-rises offering similar amenities, a branded mobile app can be a compelling differentiator for prospective and current residents. Flexibility, nimbleness, and fast-paced changeability characterize tech companies today, but also apply to the cities in which tech companies thrive. The successful “fast fish” lives in both public and private waters, highlighting an implicit truth that private enterprise and public policy must work in parallel to engender a healthy tech ecosystem. “The future ain’t what it used to be” famously uttered by the wise and pithy baseball star, Yogi Berra is increasingly becoming a reality in the Commercial Real Estate (CRE) sphere. That future in 2016 looks radically different than it did even a decade ago and will be transformed again in the decades to come. And while the CRE landscape has changed irrevocably, the primary driver of these disruptions is constant…technology. Brokers: what’s really stopping you from selling? How much of your time do you actually spend engaged in money-making activities? It’s probably a lot less than you think. Between talking to clients, driving, visiting properties, and working with engineers to develop concept plans, you are kept constantly on the run and your prospecting and presentation time suffer greatly. Commercial real estate has commanded a meaningful presence at SXSW for years and even has a unique industry track correct? WRONG! Why is that? Isn’t experiential marketing (aka engagement marketing) a cornerstone of the festival by effectively connecting people, businesses, and physical spaces? From Online Listings to Brokerage... A New Model? Companies have been trying to disrupt the traditional real estate brokerage model for as long as I can remember. Most, if not all, have failed. Others have created behemoths, focused on listings that have truly changed the way business is done, think Zillow. But no one has truly created a new real estate brokerage model by using technology at its foundation. Now that hundreds of millions of dollars are being invested in real estate tech, will anyone be able to create a new model by combining both listings and brokerage? Notice the similarity in their language. Notice how technology serves as the cornerstone of their entire business model, and notice how they each clearly articulate the advantages of their company to their customers (Compass for homebuyers and renters) and (TheSquareFoot for commercial tenants). What's driving this trend in the real estate industry? Is it the influx of tech entrepreneurs now descending on the real estate industry? Or is it reflective of the massive paradigm shifts taking place in the business world overall? If you look at other industries such as insurance, hotels, banking, mortgages, autos, and more, online listings and online shopping have become the norm. What started in the consumer sector is now rapidly expanding to the business-to-business sector. Search for anything and you will most likely find a website that lists all of the options and pricing along with the ability to purchase directly on their site. Even Google, Facebook and Instagram are now following Amazon's strategy of a one-button push to purchase on their platforms. With all of this information online, today's consumer is more sophisticated and knowledgeable than ever. They want to be able to shop on their own and narrow down their choices. Everything is flat. Everything is searchable. But what about real estate? It was only a matter of time until all real estate space would be available for viewing, comparing, and sharing. Zillow and Trulia have built the first massive open MLS. Others have since followed and are fighting for market share as well (home.com). Listings, listings and more listings. Many other sites are doing the same in commercial… LoopNet, 42floors, Officespace, Commercial Search, Property Line, RealMassive, and Catylist. However, the key point here is that I also know that I don't have the expertise to negotiate with a landlord or home seller and make the best decisions on consummating a deal. There is simply too much money at stake, along with my business survival (and my marriage:) depending on me not F'ng up this decision. That's where Compass and TheSquareFoot models make sense. Once I see what I like, I need a living, breathing, experienced pro to help me navigate the process. After all, buying a home or renting office space is not the same as buying a book, phone, or even shopping for a mortgage. But who is the market for this type of service? Is it tech savvy CEO's who are comfortable navigating through the web for space options? Is it young professionals who have grown up online? Or in time, will it just become part of the research and due diligence process that every real estate decision maker will incorporate into his or her search process? With Compass and TheSquareFoot, I do think this trend of online listings to brokerage is something that will only grow in the future, and I bet therefore that both companies will build sustainable, viable businesses. Is it nationally scalable? Well, if they can do it in NY, chances are they can do it anywhere. So, maybe the answer to the question of whether or not anyone will truly ever disrupt the real estate brokerage business is NO! But, that doesn't mean there won't be many exciting, unique and viable businesses that are built like Compass and TheSquareFoot that will use technology as the cornerstone to their business, without ever forgetting that it's a people business and always will be. That's why they call it "brokerage" cause you still need the "broker".